August 5 is Sister's Day. So make sure to tell your sister how important she is by sending her one of these cool comments. These comments are perfect for emailing, or posting on any friend site, photo site or blog. Friends come and go, but sisters are forever. 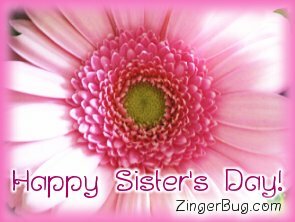 So make sure to show your sister some love on Sister's Day!